We recognise and respect the privacy of all Shop Direct candidates. This notice explains what information we collect, how this will be used and how it is protected. 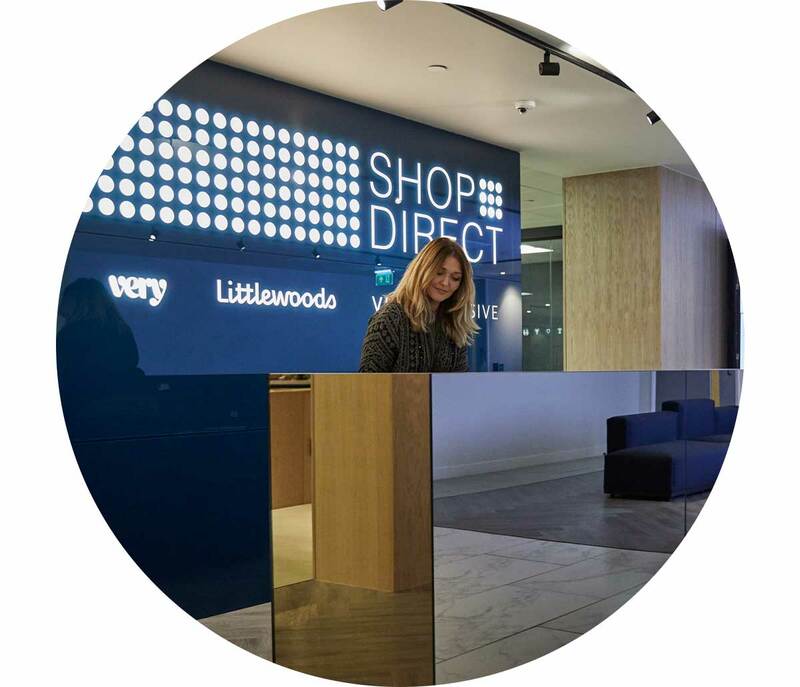 Shop Direct Group comprises of Shop Direct Ltd and its subsidiary companies including Shop Direct Home Shopping Limited, Shop Direct Finance Company Limited, Littlewoods Clearance Limited. Shop Direct Group’s regulator for Data Protection is the Information Commissioners Office (ICO). They are responsible for the regulations that cover the collection, storage, processing, disclosure, transfer and destruction of personal data (including Shop Direct Group data obtained for all potential and new employees) in the UK. Shop Direct Home Shopping Limited, Shop Direct Finance Company Limited and Littlewoods Clearance Limited are registered as a Data Controllers with the ICO and our appointed Data Protection Officer ensures fair and lawful processing of Shop Direct Group Employee information in line with the regulations. The information we collect about potential may depend on the role a potential employee is applying to fulfil and the type of contract they may have with Shop Direct (permanent/temporary contract employees /contractors). This notice also applies to potential sub-contractors to Shop Direct and its group of companies. Information deemed essential (e.g. your own contact and emergency contact details, information needed for equal opportunities monitoring policy and records relating to your education / career history, such as certificate of achievements to confirm qualifications. We collect personal information about employees, workers and contactors through the application and recruitment process, either directly from candidates or sometimes from an employment agency or background check provider. We may sometimes collect additional information from third parties including former employers, credit reference agencies or other background check agencies or from data already available in the public domain via social media sites such as, but not limited to, LinkedIn. 1.. Where we need to comply with a legal obligation. We need all the categories of information in the list above (see The kind of information we hold about you) primarily to allow us to pursue legitimate interests of our own or those of third parties and to enable us to comply with legal obligations. In cases when we use your personal information to pursue legitimate interests of our own or those of third parties, this is provided your interests and fundamental rights do not override those interests. The situations in which we will process your personal information are listed in the table below and we have outlined the purpose or purposes from which we will process your information. Assessing qualifications for particular job or task, and making a decision about your recruitment or appointment. If you fail to provide certain information when requested, we may not be able to make an offer or enter into a contract with you, or we may be prevented from complying with our legal obligations (such as to ensure the health and safety of our workers). We do not need your consent if we use special categories of your personal information in accordance with our written policy to carry out our legal obligations or exercise specific rights in the field of employment law. In limited circumstances, we may approach you for your written consent to allow us to process certain special category data. If we do so, we will provide you with full details of the information that we would like and the reason we need it, so that you can carefully consider whether you wish to consent. You should be aware that it is not a condition of your contract with us that you agree to any request for consent from us. We protect all our potential employee information by maintaining relevant physical, electronic and procedural processes to safeguard and prevent any unauthorised access, accidental loss, disclosure or destruction of your data. Your information will not be transferred to other countries unless it is unavoidable in the context of necessary contractual requirements (e.g. if a potential position applied for in the Shop Direct Group is based overseas). If it is necessary to transfer information to other countries, we will take care to ensure the same high level of privacy, confidentiality and security as in the UK. Much of the information we hold will have been provided by you, but some may come from other external sources, such as your previous employer or your stated professional referees. Other than as mentioned below, we will only disclose information about you to third parties if we are legally obliged to do so, or where we need to comply with any contractual duties to you if you are successful with your employment application with us and we offer you employment terms that you agree to and accept (for instance, we may need to pass on certain information to our payroll provider, pension or health insurance schemes). We have policies in place to ensure we only store the relevant candidate information we need and we will ensure it is securely destroyed when it is no longer needed. We will store candidate information for a maximum of 18 months after the account goes dormant. Accessing your data: You have the right to request from us access to and rectification or erasure of your personal data, the right to restrict processing, object to processing as well as in certain circumstances the right to data portability. Restrictions may be placed on providing you with certain information we hold about you (e.g. if they relate to the prevention and detection of crime and taxation, or any information we are hold about you under legal privilege via legal advice and proceedings). Restricting automated processing and profiling: You have the right to have automated processing and profiling restricted. Potential employee profiling may be used to analyse or predict employee economic situations, health, personal preferences, interests, reliability behaviour, employee locations or movements. We may take decisions about you using automated means as part of the assessment and selection process, such as but not limited to literacy & numeracy assessment. Data portability: You have the right to request that the information we process by automated means is sent to you or another nominated data controller in a commonly used electronically readable format. If you wish to invoke any of any of your rights, you should in the first instance raise your requirements with our Human Resources Department who will escalate any requests from you accordingly. During the course of our employee onboarding process, you may be required to log in to other sites of our third-party service providers (such as Complete Background Screening, Experian) who may be assisting us with relevant background checks we are required to carry out on potential employees, for which you may potentially need to provide personal data to. You should be aware that our candidate Privacy Notice won’t apply once you enter the other websites. We may share your personal information with other entities in our group as part of the recruitment process. We may share your personal information with other third parties, for example in the context of the possible sale or restructuring of the business. We may need to share your personal information with a regulator or to otherwise comply with the law. We may transfer the personal information we collect about you to the following countries outside the EU in order to perform our contract with you. If the countries to which we transfer your data to are not deemed to provide an adequate level of protection for your personal information, we will ensure that your personal information does receive an adequate level of protection. To ensure this is the case, we will take measures to compensate for the lack of data protection in a third country, by way of appropriate safeguards (for example safeguards consisting of contractual clauses relating in particular to compliance with the general principles relating to personal data processing) If you require further information about this, you can request it from the Data Protection Office. You have the right to apply directly to these agencies for more details of the information that they hold about you.